The stressful demands of juggling a full-time career and being caregiver to both children and elderly parents are becoming commonplace for women in the “Sandwich Generation”. While sons and daughters may be attending and/or just completing their post-secondary education, they are still children requiring their parent’s attention, emotional and financial support. Meanwhile, elderly parents are now relying more on their family caregiver for assistance with everything from daily care to transportation needs that range from shopping trips to an increasing number of doctor’s appointments. Now let’s take the fact that the average age of a widow in Canada is 55, and you have quite the burden placed solely on the shoulders of someone already pushed to the limits of everyday obligations. Balancing life and ever increasing responsibilities for a woman who has lost her spouse can be very challenging, not to mention extremely difficult on the health of both mind and body. How prepared can one be? And, where do you turn to for assistance? What are the next steps in moving forward? Finding answers can begin with checking into community resources in your area – from bereavement groups and counselors to financial planners, lawyers and government services such as Service Canada. 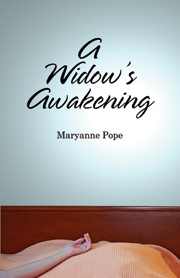 Various online resources are also available such as Widowed.ca. Seeking and accepting assistance during this difficult transition can be the best step you can take. Ask siblings, friends and other family members to help lighten the load. For assistance with elderly parents, contact local senior’s organizations and home care specialists to help determine the needs and services available to your family. If family members are not able to lend a hand, in-home care can include a wide range of medical and non-medical services, and there are various local government organizations that can assist with meal delivery and transportation needs. Looking into future financial security is also must. Review your current situation as well as that of your elderly parents with a local financial advisor to set up a plan for a solid financial future. Then, there’s looking after you – your own health – critical to your future wellbeing. The stress of grief combined with the full weight of the responsibilities of everyday life can often cause physical health problems such as insomnia, nausea or other ailments that can pose long term challenges. Consult your doctor if you find you are not eating or sleeping, as you may be more prone to illness. Remember that there are stages in the adjustment process after the loss of a spouse. They may include: shock, denial, resistance, anger, sadness, and, finally, acceptance of change. You cannot be in control of everything, every moment of the day. Letting go; taking time for yourself and your peace of mind is important when faced with these difficult circumstances. There is life after death – yours, and you can take control of it by taking positive steps to get the support and guidance you need to move forward. I did not know that the average age is 55. It goes to support the contents of your article as it pertains to being so much a part of the sandwich generation with couples starting their families later and the parents on the other side becoming more dependent; not to mention a career to keep everything afloat. It is not always easy to find time for yourself, including finding those very important supports. But supports can be found in the most oddest places and are often found through a simple offer. Suffice it to say that one needs to leave themselves open to these opportunities. In between, breathe my tender hearts.